TEL AVIV: The U.S. Embassy is located at 71 Hayarkon Street in Tel Aviv.The U.S. mailing address is 9700 Tel Aviv Place, Washington, DC 20521-9700. The telephone number is (972) (3) 519-7575, Monday through Friday. The after-hours emergency number on weekends and from 4:30 p.m. to 8:00 a.m. local time on weekdays is (972) (3) 519-7551. The fax number is (972) (3) 516-4390, or 516-0315. The Embassy can be contacted by e-mail. Contact the Consular Section of the U.S. Embassy for information and assistance in Israel and the Golan Heights, at the ports of entry at Ben Gurion Airport, Haifa Port, the northern (Shaykh Hussein) and southern (Arava) border crossings connecting Israel and Jordan, and the border crossings between Israel and Egypt. 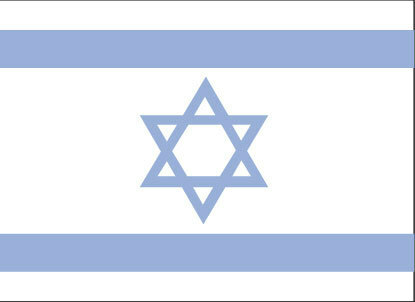 The Embassy also has a consular agent in Haifa at 26 Ben Gurion Boulevard, telephone (972) (4) 853-1470. The consular agent can provide both routine and emergency citizen services in the northern part of Israel. After normal working hours you can contact him via the Embassy. JERUSALEM: The Consular Section of the U.S. Consulate General in Jerusalem is located at 14 David Flusser, Jerusalem 93392 (near the former Diplomat Hotel, now the Caprice Diamond Center, in the neighborhood of Arnona). The U.S. mailing address is 6350 Jerusalem Place, Washington, DC 20521-6350. The Consular Section's public telephone number for information and assistance is (972) (2)630-4000, Monday through Friday. The after-hours emergency number on weekends and from 4:30 p.m. to 8:00 a.m. local time on weekdays is (972) (2) 622-7230. The Consular Section's fax number is (972) (2) 630-4070. You may also contact the Consulate by e-mail. Contact the Consular Section of the U.S. Consulate General in Jerusalem for information and assistance in Jerusalem, the West Bank, the Gaza Strip, and the Allenby Bridge crossing between the West Bank and Jordan.